I usually get very busy towards Christmas with loads of custom orders coming from my online shop. So, I decided to make a start on some things for my house a bit earlier this year – last year I was too busy to get anything done! 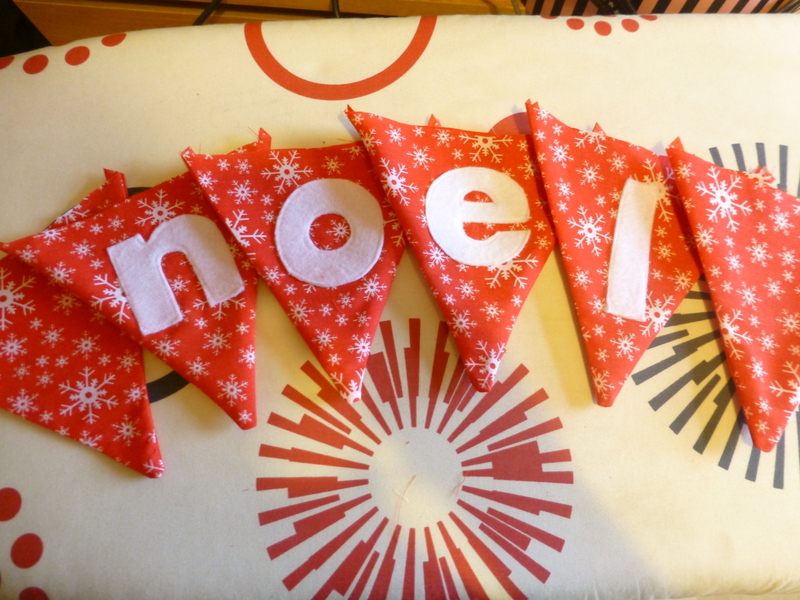 So far I’ve made some nice Christmas bunting. I’ve done some felt applique letters on it. Applique isn’t something I do very often so it seemed to take me ages to do. 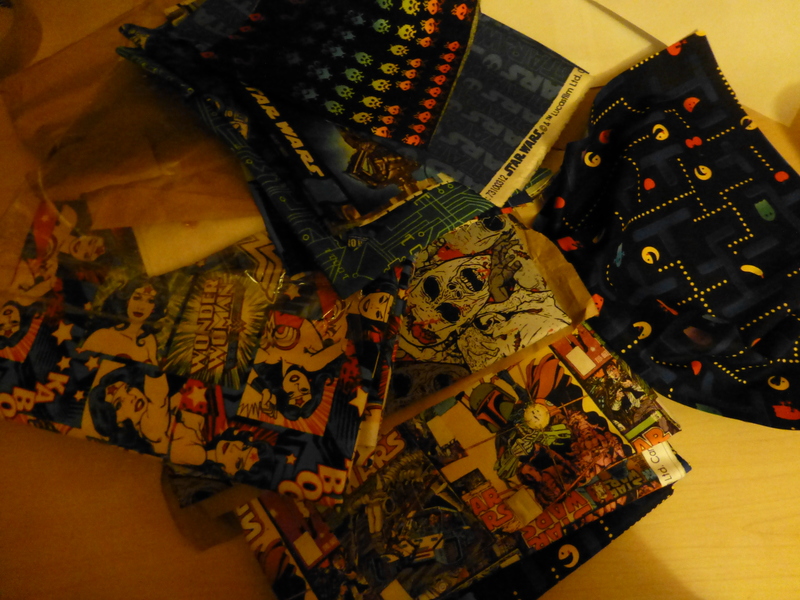 I’m also going to make an advent calendar with some of the same material and some nice contrasting fabric. 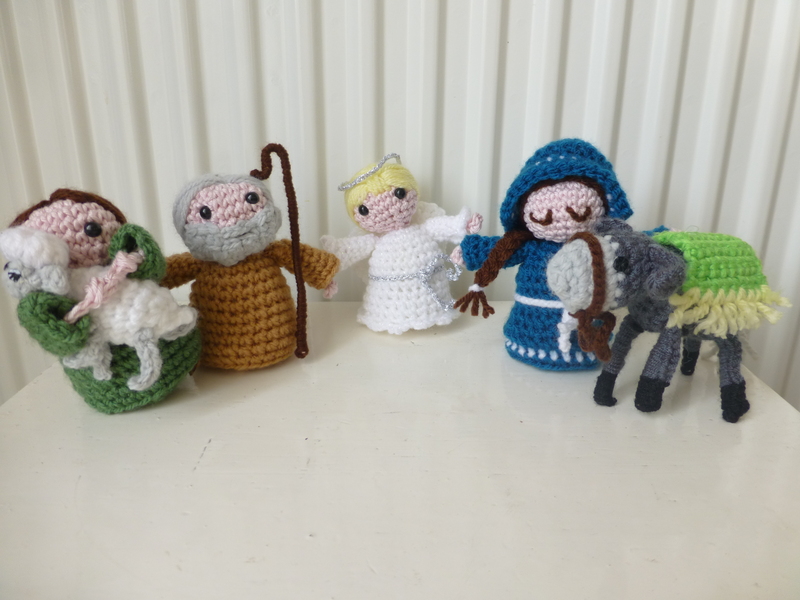 I’m also working on a crocheted nativity scene. I saw a knitted one last year and knew that I’d have to make one this year. This piccie shows the progress a few days ago, but since then I’ve also finished Joseph. 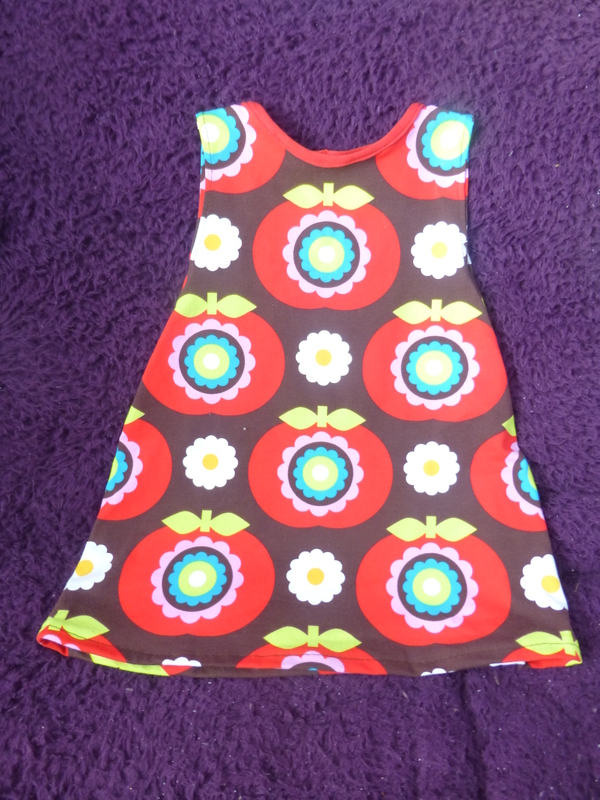 A little while ago I decided to put my sewing machine to good use and make some nice clothes for my little girl. Anyway I bought some jersey as I quite like the comfort and ease of the clothes she already has in jersey. What I didn’t realise was that it’s not the easiest to sew with… anyway after a little Google I discovered I was using the wrong needle on my machine for stretchy fabric. 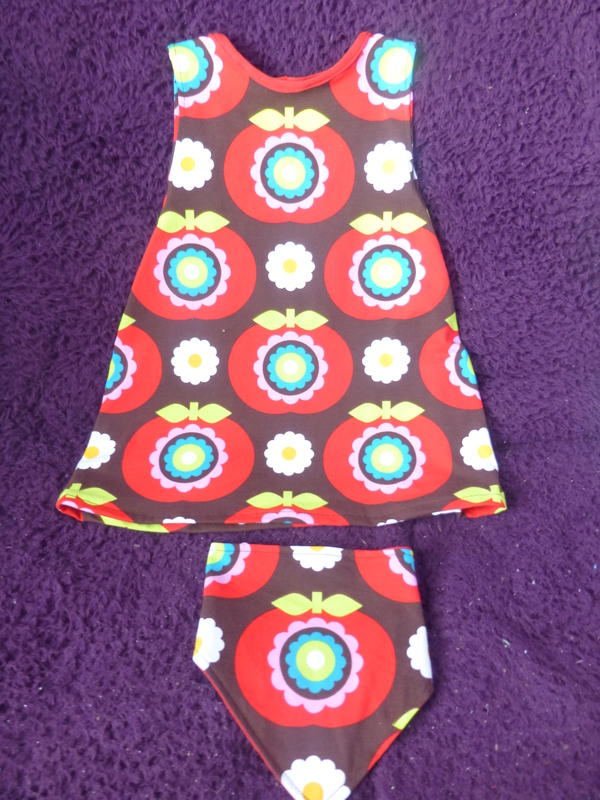 This is where I’m terrible – as usual I didn’t have a pattern… So, I grabbed one of Izzie’s dresses that I liked the shape of and drew around it on paper and then added a seam allowance all the way around. I sewed it all in a matching cotton. The neck was a bit trickier as I’d decided to make my own bit of bias binding from a plain red jersey and then attach it around the neck. I tacked it all into place and machine sewed it in place. This is a picture of Izzie wearing the dress with some pink leggings. It works well with or without leggings. It also works well with long sleeves underneath. That’s us on the right hand side of the picture. 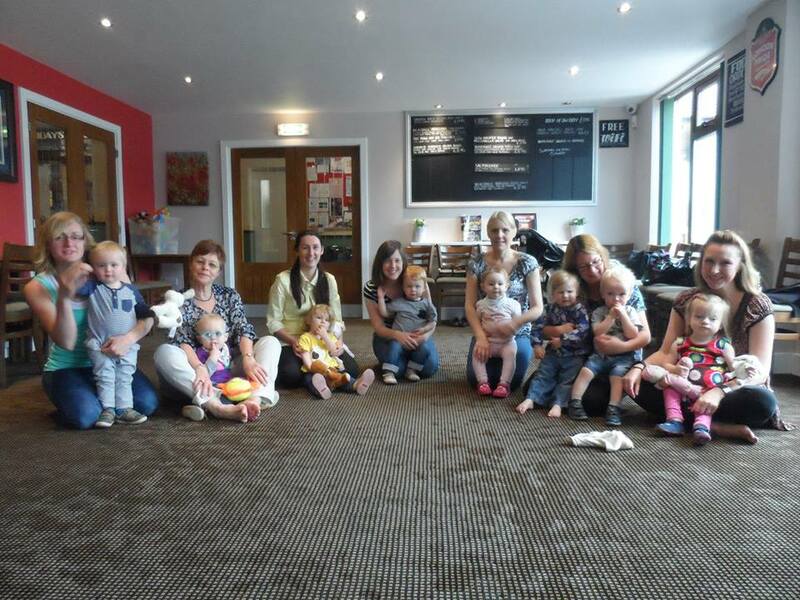 This is our end of term picture at Izzie’s favourite class – Sing and Sign. More dolly things I have made! This is following on from my last post, Making things for Shovel. I made an extra nappy for Shovel with some more spare material. This was just as well because Izzie decided she liked the nappy so much that her bear, who is luckily the same ‘unusual’ shape as Shovel, also apparently needs to wear a nappy. Izzie has this little fold up dolls’ pushchair and she likes to put Shovel in there and then pile lots of other stuffed toys in on top of her. I thought I’d make a little crocheted pram blanket for Shovel. 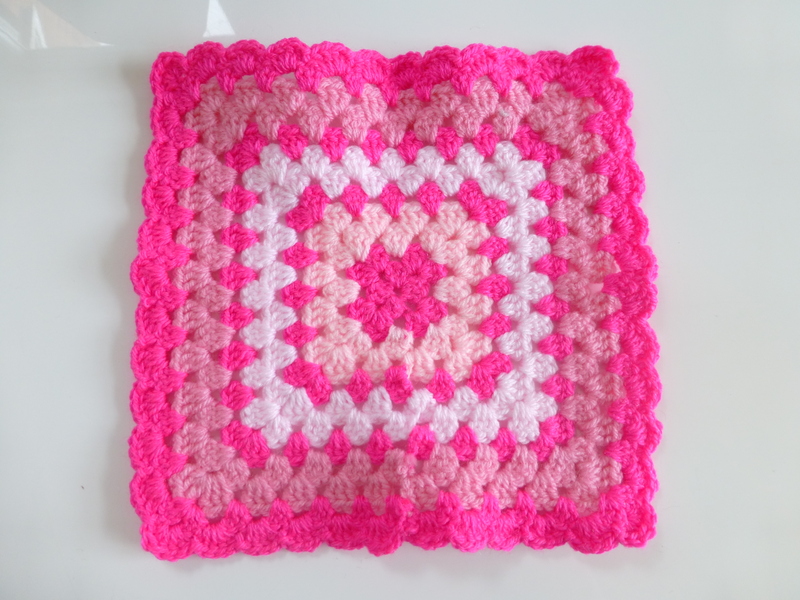 The pram is in pink (I tried and tried to persuade her to choose the blue pram, damn it) so I crocheted it in some scraps of pink wool. Now that she has all these things for Shovel and the pram I thought I’d have a go at making a bag for the pram. I’ve not attempted a lined tote bag before so this was a first. It worked out OK so I might have a go at making some more for my next handmade fair. Above shows the little bag on the pram – I used some pink bias binding to make some little straps to match the binding on the pram. The material is just a fat quarter of fabric and the lining is just some plain cotton. I made the bag and a nappy from the fat quarter and still have a little bit left. So, Shovel now has a nice little selection of things to go in her changing bag, which fits nicely on her pram. Izzie loves taking things in and out of the bag. She can even take it on and off the pram. Anyone who has met my little girl has also met Shovel. She takes Shovel everywhere with her. Apparently Shovel loves to go shopping. She shares her food with Shovel and luckily it appears Shovel will eat things that Izzie isn’t too keen on. Shovel will also check out new territory by being thrown in that direction. This is a rare picture of Shovel, on her own. Most pictures of her are with Izzie. In fact any of our holidays photos with Izzie in front of various scenes, have been photo-bombed by Shovel. So, Izzie is now liking to do things with Shovel that I do with her. 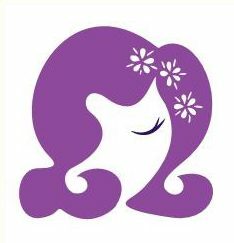 She likes to brush her teeth, comb her hair and feed her. Recently she has decided that she likes trying to put shoes and bibs on Shovel. This gave me an idea. Izzie loves Sing and Sign and currently one of her favourites is about Jessie cat needing the potty. Izzie wears cloth nappies so I decided to make a cloth nappy for Shovel. Now this ended up not being quite as easy as thought it might be. 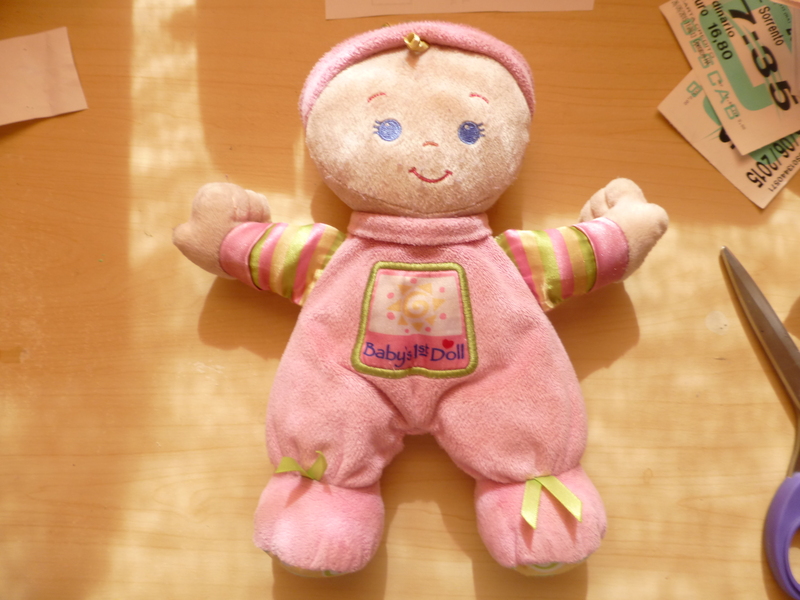 I know people come in all shapes and sizes, and so it seems do dollies! Shovel wearing her cloth nappy! 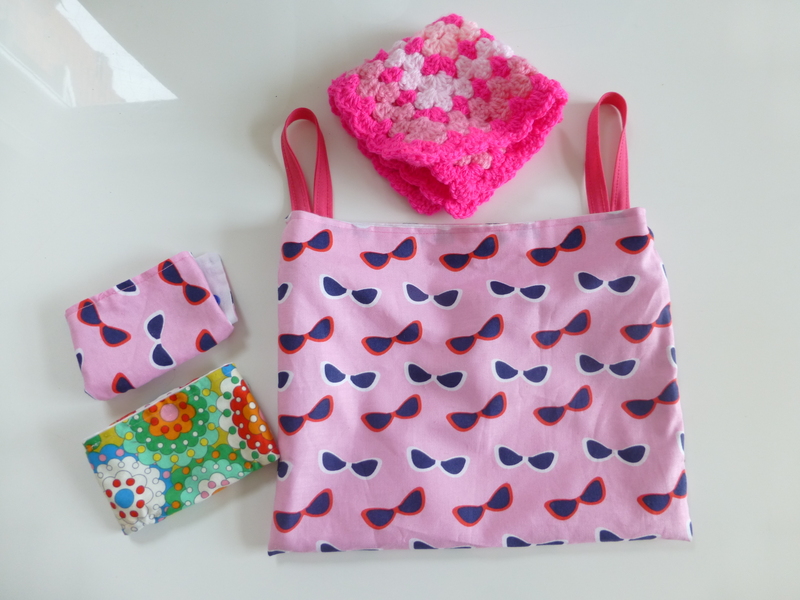 My little girl loved the nappy so much I made another one and a little bag to keep them in – which I’ll post another day! 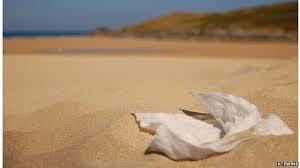 What a waste – wet wipe litter up 50% on UK beaches! As you know, I don’t really like to throw things away and this headline today reminded me why I chose to use reusable nappies and wipes. Here’s the full article from the BBC. When I first started using reusable nappies I was still using baby wipes. I found that I was popping my nappies in the nappy bin for washing and then throwing away the baby wipes into the dust bin. It seemed a bit odd. So, I did a bit more research and found out about reusable wipes. I bought a set of bamboo Cheeky Wipes and have never looked back. They aren’t the only solution out there as there are plenty of other brands and some people make their own, or buy cheap flannels from the Pound shops. You don’t even need a special box to store them in – you can improvise. I use a commercial baby wipes box that was given to us as a baby gift. They are SOOOOOOO much better than a disposable baby wipe. If I do use baby wipes (like if we go away – yeah I’m not perfect!) I find I need to use a lot of them to clean a mucky bum. Is it just me or do they seem to smear everything? With the bamboo reusable wipes, you tend to just need one or two. Then they just get wrapped up in the dirty nappy and popped in the nappy bin for the next wash. I use reusable wipes for hands and faces too. Again I just tend to use one wipe for each meal rather than a handful of baby wipes. I have a couple of little double zipper wet bags for them – clean wipes in one side, dirty in the other. They are from My Little Patch, who make to order in all sorts of fabrics. I have one in a sort of ‘biff, bang, pow’ material and another in ‘girl hero’. 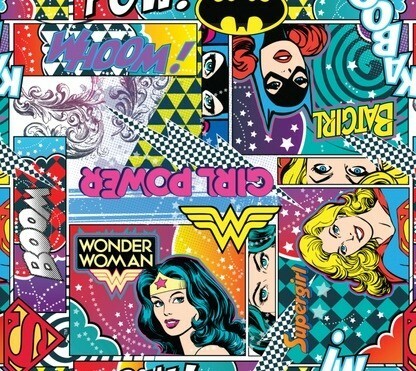 The ‘girl hero’ one has Wonder Woman on it so I was smitten! I bought a fancy new sewing machine a little while ago and have made a few things using it, but not many. My little girl is now in nursery a couple of afternoons a week so I have a little bit more time to sit down and try some new things. A couple of weeks ago I decided to have a search around to look for some new fabrics to give me some inspiration. They arrived last week. They’re a wonderful mixture of sci-fi, comic book, techie, Wonder Woman and zombies. A real geeky mixture! I’ve put some tabs on the top and bottom and poppers on the tabs to make it easy to take the covers on and off. These keep the cosy nice and snug. So what do you think? Nice and geeky? Now I’m trying to think what to make next with all this lovely fabric. 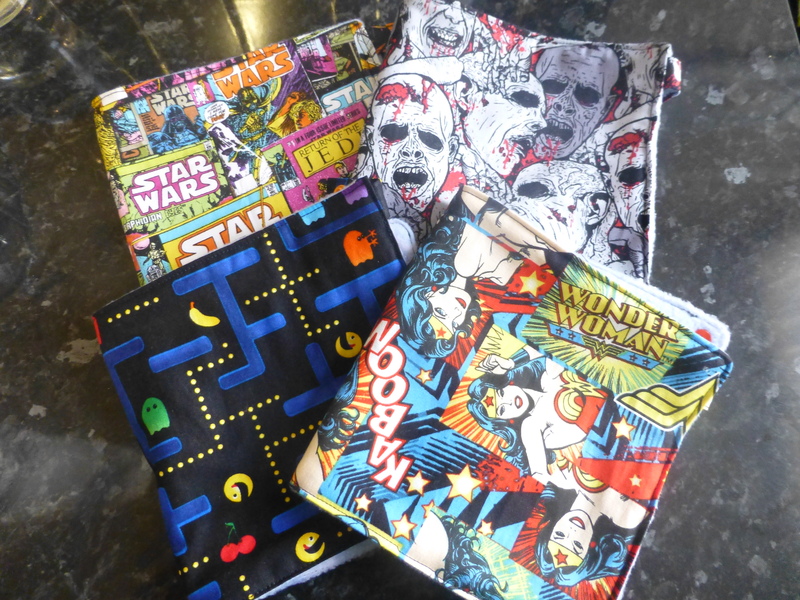 Gadget covers, baby bibs or taggy blankets? Any ideas? These four are currently on sale in my Etsy shop. Handmade valentine – a chip off the old block! My little girl has started nursery a couple of afternoons a week. It’s a dual thing – it gives her a little independence and also gives me some time to get on top of orders. Anyway, imagine my surprise when I when to pick her up the day before Valentine’s Day. 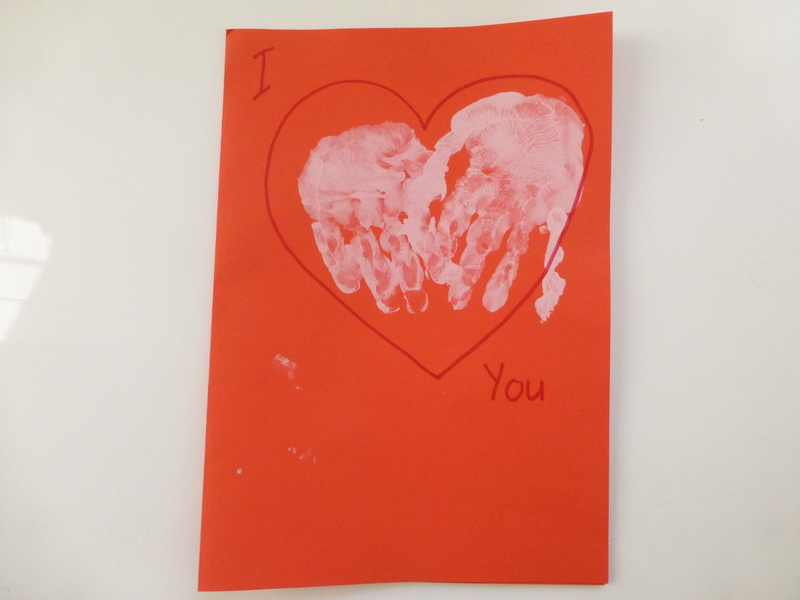 She’d made us a Valentine’s Day card with her handprints. It’s very cute and was very unexpected. Handmade gifts are just perfect and I love the way the nursery gets the little ones involved in making things like this as hopefully it will be a something they want to continue with. Obviously I don’t mean making hand print valentine’s cards, but the pleasure that you get from making something yourself. I can remember rainy days when I was little – they were for making things. Covering balloons with paper and paste, learning to crochet, peg dolls, that cotton reel knitting thingie, painting with pieces of potato, pom-poms, pipe-cleaner animals and so on and so on. None of these things ever cost much money but gave so much pleasure!